Vector image set with keys for doors, vehicles and mailboxes. Keys with different designs, standard shapes and an antique golden key. 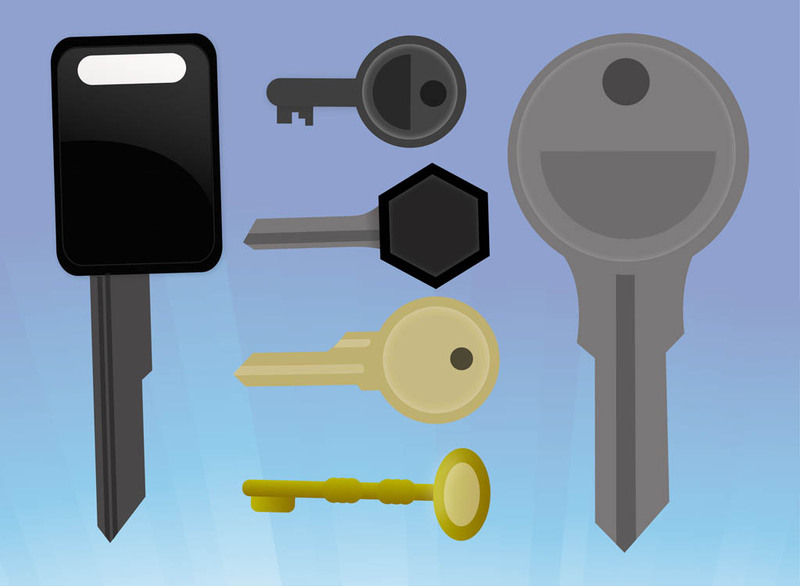 Free vector images for locks, keys, locking, home, doors, security, privacy, cars, vehicles and precious metals visuals. Keys for icons, logos, stickers and adverts. Tags: Car Key, Home, House, Lock, Open, Security, Unlock.